Many things are happening on the hotel market. World brands and local players are focused on Poland. They are opening new hotels, buying land and looking for facilities to acquire. How will the market divide up? The sector is growing fast, but the investment boom is overshadowed with threats like lots of apartments for rent and a growing competitor – Airbnb. This may change as the Ministry of Sport and Tourism wishes to regulate the business of the latter. Who will gain? Who will lose? Poland has been promoted to the group of developed countries in the FTSE Russell index. What does that mean for the property sector? How will the investment market change? Will there be a queue of parties interested in offices, shopping centres, hotels, and warehouses? These are the questions all market players are asking today and answers to them will be sought at the 8th edition of the Property Forum 2018, scheduled for 17-18 September 2018 at the Sheraton Warsaw Hotel. The event will include a ceremonial gala presenting the Prime Property Prizes 2018 to sum up the first day of the conference. The 8th edition has been planned to include hot debates among the largest players on the commercial property market and appreciated experts from Poland and abroad; one on one interviews; presentations and addresses on the major challenges for the industry and the Propertydesign.pl Forum, dedicated to design and innovations in commercial developments and space for work, commerce and leisure. For the two days of the event we have planned a number of interesting and current subjects, such as: Poland's position on the global investment map; activities of investment funds; co-working – a trend that has rejuvenated thinking about offices; technologies changing properties; and legal and tax changes. We will also discuss large investments and their impact on the property market. We have the following sessions planned: “Central Communication Port – how will it revive the commercial property market” and “The whole of Poland as a Special Economic Zone – a new impulse for investments”. We will have a close look at each sector. The office market in Europe has been conquered by co-working. Now the trend has arrived in Warsaw – how will it change the office market in Poland? In Warsaw, a forest of skyscrapers has been growing. Where does the boom come from and how do the skyscrapers tempt future tenants? Is Warsaw already too small for shared service centres? We will analyse the situation in the shopping centre sector since the market has not experienced times like today – extremely fast growth in online sales, the fashion for alternative shopping places and legal changes – doing business in the shopping centre market is not a piece of cake any more. What is the market in for, what should the investment targets be? A discussion will also be held about warehouses. Such giants like Amazon or Zalando have already invested in Poland's warehouse and logistics market; however large warehouses are yet to come. The sector is responsible for developing e-commerce, which has set the target of one-day delivery. What does that mean for the warehouse market? What are the prospects? However, this is not all. Revitalisation, premium properties, private dormitories, or institutional rental – these are the other subjects we have planned. These are the subjects of interest to the world of properties in Poland and this is what we will discuss at the 8th Property Forum 2018. The eighth edition is an extraordinary opportunity for meeting the largest investors and developers, appreciated experts, representatives of banks and financial institutions, tenants and local government. 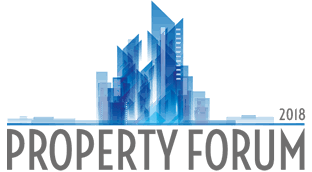 The event will include a ceremonial gala presenting the Prime Property Prizes 2018 to sum up the first day of the Property Forum 2018 conference. In the plebiscite we will identify companies and projects that have materially affected developments on the commercial property market, as well as personalities whose spectacular activities have been crucial to the growth of the entire sector.